Ismot is a 13-year old girl living in rural Bangladesh and she has never been to school. She is blind and has an intellectual disability. She is non-verbal, but seems to understand a few simple sentences. She recognizes and loves her grandmother and is a gentle, sweet-natured girl. She is learning to take care of goats and immediately became attached to them. She has already made notable progress in many areas as a result of the goats. This student in Qingdao is learning to shop for fresh fruits and vegetables in the local market. Note that his teacher is using a hand-under-hand technique, where she places her hand under his. This functional activity is an excellent way to teach students basic concepts about size and shape, while also working on more advanced concepts of comparison (bigger/smaller), communication, social interaction, nutrition, money concepts, counting, and fine motor skills. 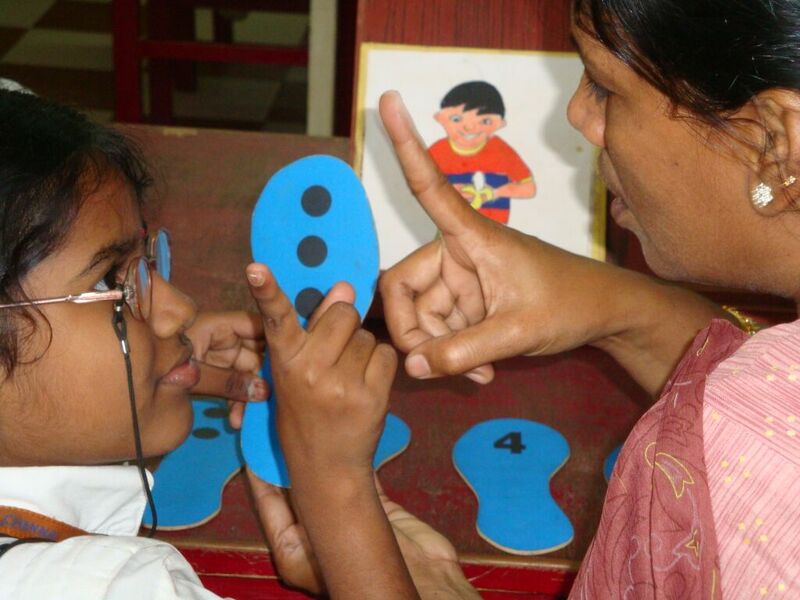 Sixteen-year old Sathiya is a student in southern India who is deafblind and has balance problems. She and her family worked closely with the team at Holy Cross Service Society in Tamil Nadu to plan for her adult life. Sathiya’s parents decided to set up an enterprise in which Sathiya would make and sell curry powder – a very viable product for South Indian cuisine. Much to their surprise, Sathiya’s curry powder sold out within a few hours! Two children remove leaves from a plant in Yogyakarta, Indonesia. This functional activity teaches important handskills and communication, as well as basic cognitive concepts, such as same/different, counting, and sequencing. These students in Malaysia learn to fold clothes. This functional activity teaches vocabulary, fine motor coordination, directionality (top/bottom, left/right), and basic concepts, such as "smooth" or "flat". An important part of the transition process is ensuring that youth will enter adult life as valued and contributing members of their families and communities. This boy in Nepal interacts with his sister outside of their home. This young woman places portions of food on a plate as part of a lesson in food-service skills with Resources for the Blind in the Philippines. These students at Ratmalana School for the Blind in Sri Lanka are selling snacks at the school. This functional activity helps to teach number and money concepts, social skills, communication, and fine motor coordination. An adolescent girl and boy cook vegetables that they have grown and harvested as part of the community-based program in Northern Thailand. They cook in the traditional village style over an open flame, using small pieces of wood. The girls in this photo are preparing green beans for a snack. Using real items from daily life is an excellent way to teach basic skills and concepts! In this functional activity, students can learn to compare sizes, work on sorting, develop handskills, increase interaction with peers, and practice language and communication skills. Sponsored by Perkins International, this site is designed to be a resource for those in the field, including teachers, rehabilitation workers, parents, and youth. Through the website, we would like to create a forum for discussion and a space to share questions, concerns and lessons learned in facilitating successful transition outcomes for students with multiple disabilities and visual impairment (MDVI). 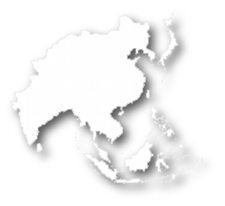 You will find planning tools, examples of transition programs, and case studies from around the Asia Region, all designed to give you ideas and help MDVI youth to lead the most independent and meaningful lives possible. Some of the case studies include questions for others in the field, and it is our hope that this will be an interactive site. We hope that you will share your own ideas and stories, so that others may benefit from your experiences and we can all continue to learn from each other. Let us know what you think of this site. We look forward to hearing from you! You can receive automatic email notifications by signing up. Submit your ideas by logging in. Read more from the new manual! SIGN UP on the site! We'll email you when there is a new post. Share a Functional Activity, Case Study, or Resources. Ask a question or post a comment in the Discussion Section.